If you're looking for secondhand anime goods, doujinshi (fan made comics), manga, video games, and electronics, you probably know to go to Akihabara for a wide selection. 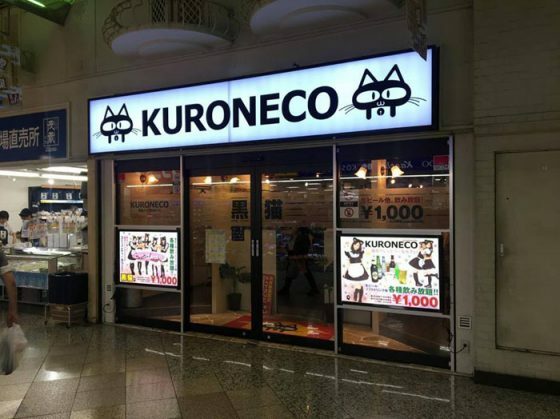 You may also know to check out Ikebukuro, especially for products aimed at women. But have you heard of Nakano Broadway? A lot of people haven't heard of it before because it's not on the Yamanote Line in central Tokyo and isn't as culturally famous. But trust us when we say it's somewhere you won't want to miss if you're looking for second-hand otaku goods. We are here to reveal its secrets to you. Unlike Akihabara and Ikebukuro, which have their shops spread out throughout a whole neighbourhood of Tokyo, Nakano Broadway is more like a big shopping mall. All of the stores are conveniently tucked away inside this large building, so it's easy to price-match, compare, and hop between stores without much effort. The labyrinth of windowless corridors may seem confusing and intimidating at first, and it's easy to get lost amongst all the over-the-top storefront displays. But once you have your bearings, you'll discover so many stores selling a wide variety of goods. And getting a little lost in this mysterious place for a little bit is part of the fun adventure, too! Nakano Broadway is very easy to access. Simply go to Shinjuku Station and take them Chuo Line to Nakano. On weekdays you can even get an express train, and Nanako is only a four minute ride away! On weekends, however, bear in mind that the express service doesn't run - but all the same, it's less than ten minutes to Nakano. Once you get off at Nakano Station, follow the signs for the North Exit. Cross the street into the covered shopping arcade called Sun Mall and weave through the crowd to the very end (if you're hungry, there are loads of food stalls and small restaurants all along this street too!). 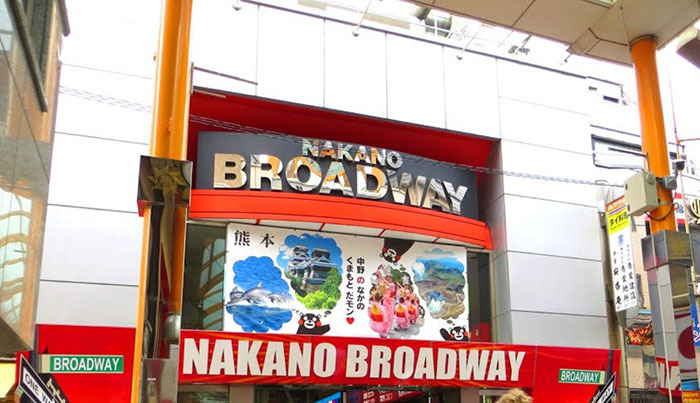 It's impossible to miss the massive sign for Nakano Broadway written in English at the end of the street. Once you enter that building, you have arrived! Nakano Broadway is several stories high. The first floor is mostly second-hand clothes and appliances, but don't be fooled into thinking you have gone to the wrong place. Tucked away between these unsuspecting shops there is also a cat-maid cafe, a sizeable game centre, and a few anime goods shops as well! But the real adventure begins when you head up to the second and third floors. Most of the other two floors in Nakano Broadway are anime, manga, and video game resellers. 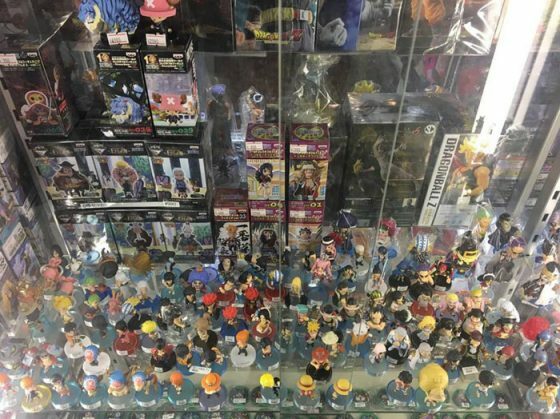 You can find everything from keychains to can badges, figures to plush toys, t-shirts to puzzles, and other novelty items. Of course you can expect to see a lot of the biggest names in anime represented, like One Piece, Love Live, Shingeki no Kyojin, and Yuri on Ice. If you look a bit harder though, you're likely to find some hidden gems from lesser known shows and games as well! 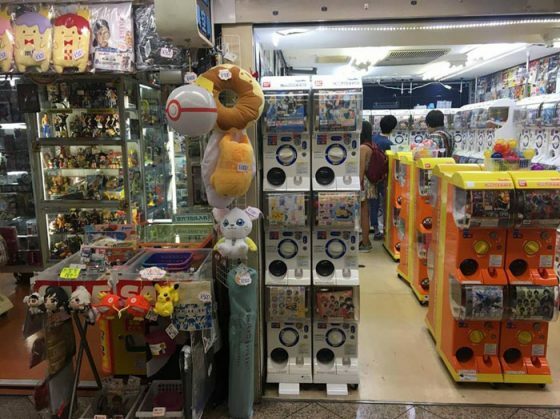 Nakano Broadway is one of the best places in Tokyo to find goods from older anime like Fullmetal Alchemist and Sailor Moon that aren't as easy to stumble across in Akihabara and Ikebukuro. More so than in other similar places, Nakano Broadway tends to have lower prices. 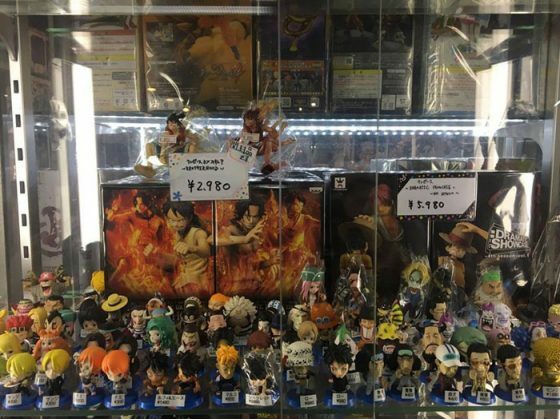 And with how close the stores are to one another, if you fall in love with a figure at one shop, you can easily check the others nearby to see if they have it for a better price. You don't have to worry about going outside or changing buildings, everything is close together. 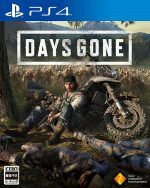 You can get some really great deals this way. A lot of the shops have also taken advantage of the "ita bag" phenomenon of decorating an entire bag with one character, and sell value packs full of badges, keychains, and phone charms all of the same character for a set special price. It definitely is easier and cheaper than buying each individual piece! 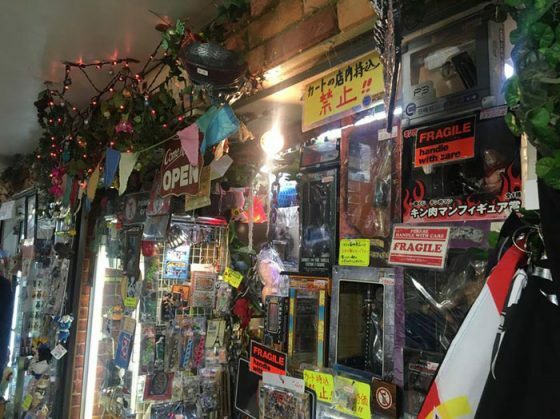 On top of all the anime and game goods, Nakano Broadway is also a great place to find vintage toys and collectables, both Western and Japanese. There are entire storefronts devoted to Godzilla figures and toys, for instance, and plenty of merchandise from series like Star Wars and Marvel - both classic and new. Remember those Troll dolls from the 1960s and later the 1990s if you're old enough? They have a lot of them. 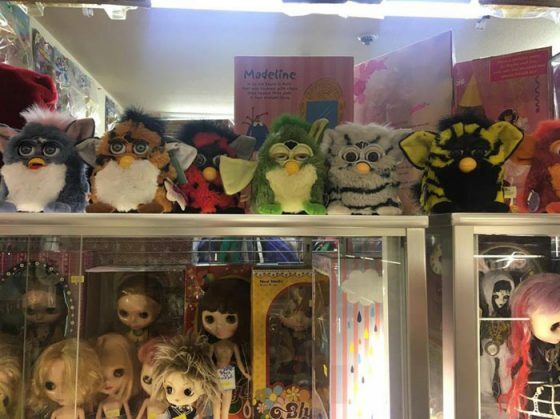 We even found an entire shelf of working Furby toys, as well as a display of Tamagotchi pets! And did we mention they have Gameboy Colour handhelds for ¥2000 (less than $20 USD)? 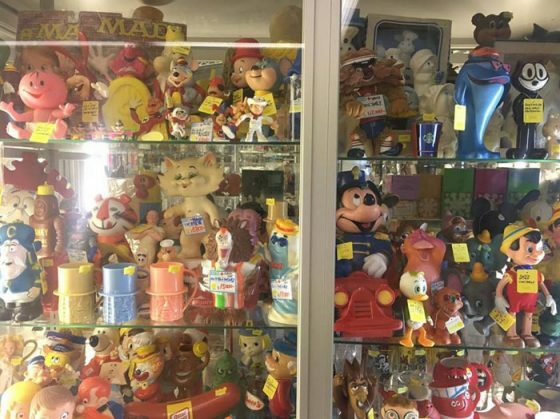 Whether you're a collector, a curious younger person, or just feeling nostalgic you can pick up these old goods at great prices. Finally, Nakano Broadway also hosts a wide range of military surplus stores. For all your olive drab and camouflage needs, look no further. They also have a cool selection of model weapons and some interesting t-shirts, so even if you're just a bit curious, we recommend stopping by one of the many you can find and just having a look around. You might find something you didn't know you needed until you saw it. The prices in these shops are quite reasonable as well! So you're not headed into Nakano Broadway totally blind, we have a few must-see places we recommend checking out! 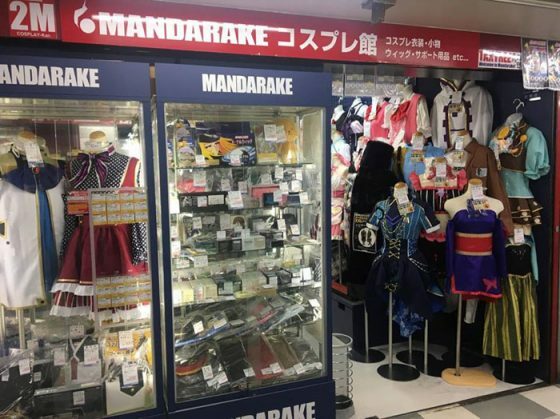 If you've been second-hand shopping for any otaku goods before in Japan, you're likely to have heard of Mandarake. There are huge, famous ones in Shibuya and Akihabara in Tokyo, and Umeda and Shinsaibashi in Osaka. But there are so many smaller ones in Nakano Broadway! Mandarake is the reason that Nakano Broadway has so many otaku goods actually; when it opened up in 1980 as a tiny shop, it’s extreme popularity led to other similar stores to open in the area. 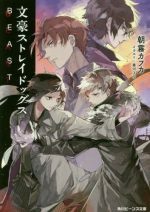 And now, not only are the copycat stores there, but there’s more than one Mandarake store as well! 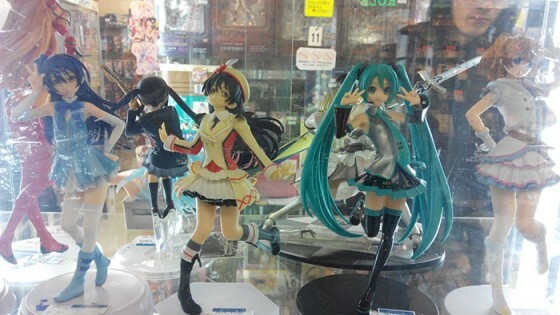 Because Mandarake is split into multiple shops in Nakano Broadway, each one is able to specialise in specific things. One has a lot of doujinshi, manga, and art books, whereas another had vintage Western toys, for example. All you have to do is find the one that carries what you're interested in. 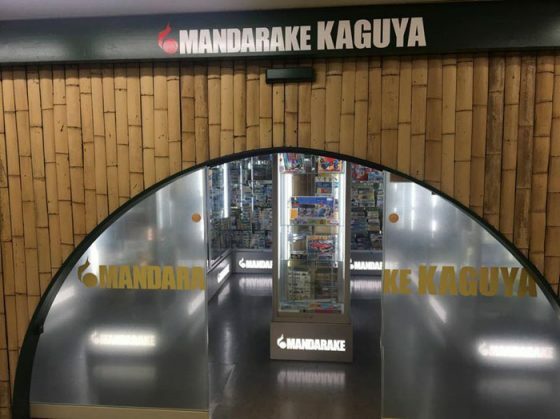 And each of the Mandarake stores has its own interesting and unique storefront to set it apart from the other smaller stores around it, and give you a sneak peek to draw you inside its doors. Of course, Nakano Broadway has more than just goods - it has food, too! 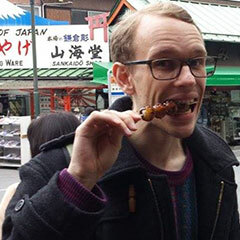 The corridors have plenty of small Japanese restaurants selling really reasonably priced foods like ramen and tempura, and the area around the building itself has even more to pick from. If you're feeling a bit tired from all your shopping and looking for caffeine, check out Bar Zingaro inside the main building. It's a hip little coffee shop with good coffee that comes with cute latte art of the cafe's flower character. It's a good place to recharge when you need a break before you go back to rooting through boxes and shelves looking for that elusive can badge you've always wanted. 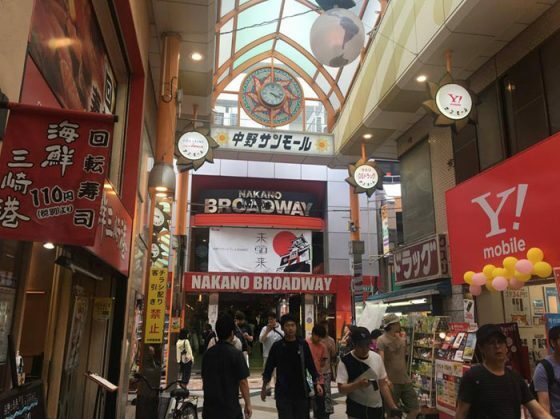 Next time you're thinking about going somewhere like Akihabara or Ikebukuro, consider trying Nakano Broadway instead! 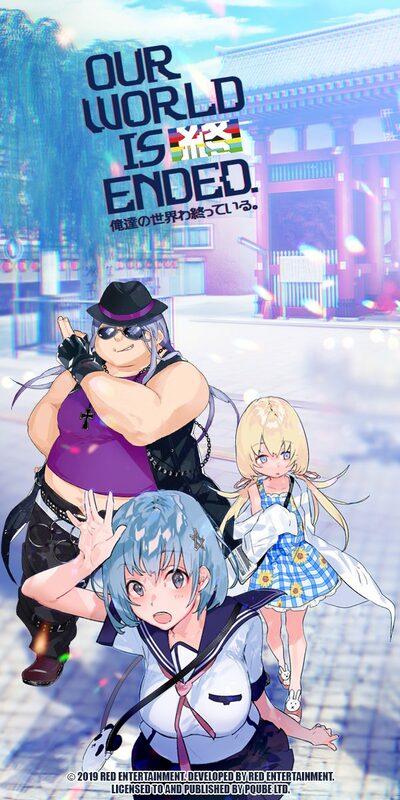 Sure, it doesn't have the same overall atmosphere as entire neighbourhoods devoted to otaku merchandise and electronics, and it only has one small game centre and one maid cafe. But you might find something you would have never found otherwise, and it's usually less crowded and busy, especially on week days. Going off the beaten path and out of central Tokyo a little bit can be rewarding and full of new experiences, and Nakano Broadway is an excellent example of just that. The convenience of everything being in one building, and the walk from the station having a roof, also makes Nakao Broadway perfect for bad weather days. Plus you never know what strange treasure may be waiting there for you! If you can look past the somewhat dark, windowless corridors with dated tiling and paint jobs, Nakano Broadway is a very colourful, exciting place with its own interesting personality and character. And it's just waiting for you to come and explore it. Our advice? Let yourself get a little lost, because you never know what you'll find. 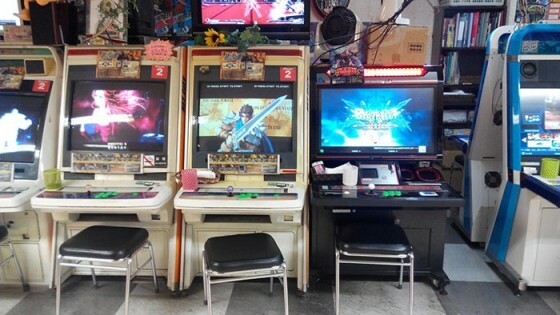 Have you been to Nakano Broadway before? Ever found anything really special, or seen something totally unexpected? Would you like to go sometime when you're in Tokyo? What are you hoping to find? Do you have any more questions? Let us know in the comments below! Nakano Broadway occupies a special position in the Tokyo public consciousness, as a place showcasing a different brand of otakuism compared to that of of Akihabara or Ikebukuro. 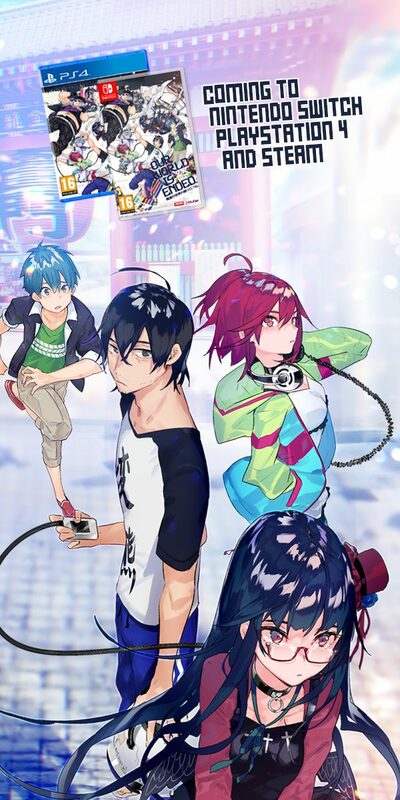 Less commercialised, flashy, less intense, more sophisticated and more directed towards the ‘collector’ rather than the casual, awkward teenager, Nakano Broadway represents what manga and anime used to be – a specific brand of sabukaruchaa – subculture. At the end of the relatively unassuming shoutengai Sun Mall, about four minutes by foot from the north entrance of JR Nakano station, lies Nakano Broadway, which most likely won’t give you any revelatory ‘woow’ experience. Rather, people who have listened to their friends hype this place up into the clouds might be prone to disappointment. But wait, there’s more to it that meets the eye. But first, some history. 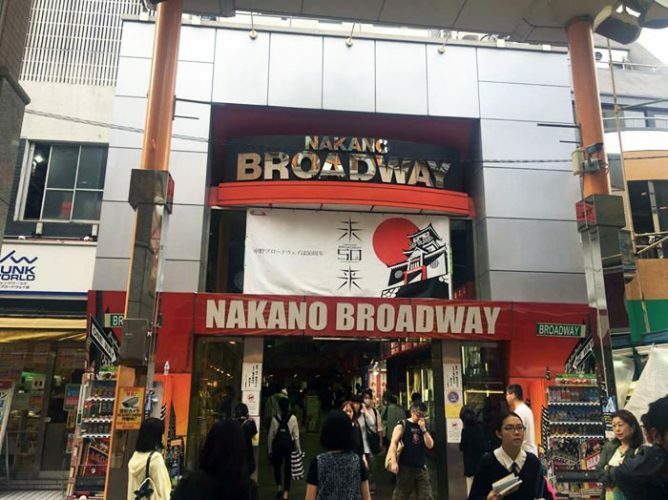 Originally an apartment complex with an exclusive shopping mall, Nakano Broadway got its name from Waseda Dori that lies outside its northern gate. It was by coincidence that this unassuming area rose to prominence as one of Tokyo’s important cultural centres. In the 80s and early 90s, various factors led to many of the small shops that had been concentrated in the area north of the Sun Mall shoutengai going out of business, and as more and more shops closed, the area was left largely deserted, devoid of people. Nakano’s ideal location along the Chuo-line with its distinct ‘Chuo line culture’, as well as it having several universities and animation studios in its immediate vicinity, gave good conditions for the formation of what was to become a new centre of Japanese popular culture. 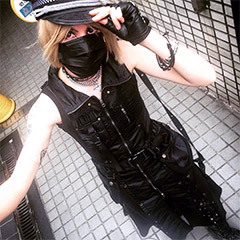 Just as Koenji, which is walking distance from Nakano, had become an important place for Japanese underground music years earlier, Nakano was to assume a similar position with regards to manga, largely thanks to one guy and his one shop. 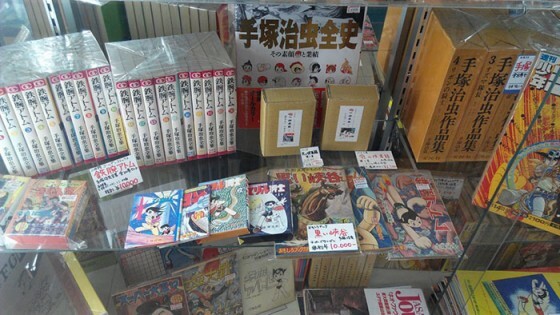 Taking advantage of the aforementioned bad economic situation, as well as a system that let shop owners buy stores instead of renting them, manga artist Furukawa Masuzo established a bookstore that later would become one of the pillars of otaku culture: Mandarake. Opened in 1980, Mandarake was quite a rarity for its time, as there weren’t many shops specialising in used comics. 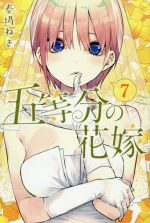 Unique was also the fact that it, in offering both exclusive collector’s items to collectors as well as cheap second hand manga to more casual readers, catered to many different crowds, making it hugely popular. 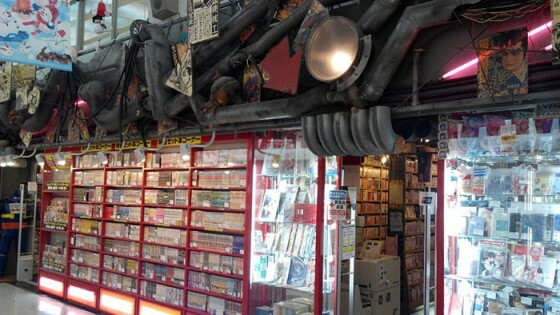 As Mandarake expanded, others wanted to take advantage of a good business environment as well as the aforementioned lucrative shop system, and as a result, Nakano Broadway saw various other specialty shops opening. Steadily growing and expanding throughout the 90s, today’s Nakano Broadway gradually took shape. The first thing you’re likely to experience is confusion, as the first escalator you encounter leads you not up to the second floor as any normal person would assume, but rather the third one. I always get lost, even with a map – the layout of the building is like something from a Kafka novel. Luckily, there are floor maps, and on the first floor you’re recommended to grab a pamphlet in your language of choice, be it Japanese, English, Chinese, or Korean. I could’ve written a floor guide, but Nakano Broadway isn’t really meant to be browsed through methodically, you’re supposed to get lost in the narrow gates, forgetting both the time and where those 10,000 yen bills from your wallet went … The important thing is that the main action happens on the second and third floors; depart from either the aforementioned escalator or the stairs and you’re good to go. As one should expect, Mandarake is both the physical and the spiritual centre of Nakano Broadway, and by far occupies the largest number of shops inside. 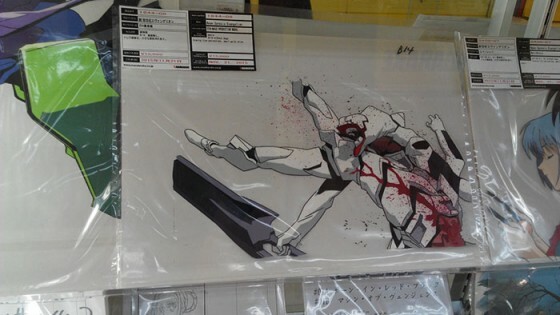 As one of its slogans goes, ‘If you can’t find it at Mandarake, you can’t find it anywhere’. And that’s most certainly true, be it old Toho-godzilla posters (2nd floor), antique robots (4th floor), miniature cars (2nd floor), anime cells (4th floor), anime music (2nd floor), Doujinshi (2nd floor), vintage Astroboy (4th floor) – you get the picture. On the third floor is one of my favourite Mandarake stores, ‘Henya’: after you make your way through a gate consisting of traditional Japanese torii (gates found at shinto temples), you’re greeted by a life-size Choujin Baromu (apparently some old super hero) with a price tag of 850,000 yen, and as you walk around on the equal-parts tacky and fascinating 1960’s futuristic neon floor, your eyes will be blinded by the sheer amount of old toys and figurines. Although no aficionado of that sort, I felt my hand unconsciously moving towards my wallet upon seeing Godzilla, Tiger Mask, and Robby the Robot from Forbidden Planet, as well as other Showa-era rarities. Call me boring, but I usually spend most of my time at the large second-hand manga store on the third floor, which bears the poetic name of ‘Main Store’ and ‘Main Store 2’. This is one of my absolute favourite spots for manga in Tokyo: Not only is it reasonably cheap, with even most obscure and hard-to-get titles prized under 1,000 yen, the selection is also excellent. If you’re in trouble, the staff are also always very helpful, and there’s usually at least one English-proficient person, for those of you not yet confident in the language of the land of the rising sun. 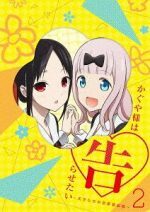 If you’re a Tokyo resident and wanting to get rid of some old, dust-collecting comics – maybe before your family is visiting you for Christmas? – you can head over to the buy-back stand on the 3rd floor. As far as prices go I am not really sure, but assume that they will pay more than book-off, given that you have something noteworthy to offer. The outside decor of the main store perfectly sets the mood with its 80s industrial Hong Kong steampunk theme – Nakano Broadway has been compared to the infamous ‘Kowloon Walled City’ (which also by the way is the theme for an awesome game center Kawasaki Warehouse) – reminding us that, even though Mandarake might be a chain store now, this is its original incarnation, where it all started – the centre of Tokyo’s ‘otaku subculture heaven’. 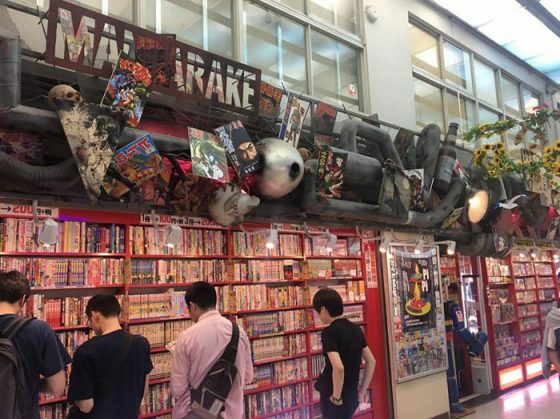 Even though visiting all the Mandarake stores will take you more than a whole day’s worth of exploring, there are also other places worth visiting in Nakano Broadway. A comprehensive list would be too long for this article, so what follows are some severely biased selections. If you can’t find the cells you’re looking for at Mandrake, you can head to Anime World Star, a small shop specialising in celluloids from movies. I admittedly haven’t visited this particular store, but rumour has it that it’s possible to make a bargain for less than 1,000 yen. Rather than wasting your money on a sub-par meal at that robot restaurant in Shinjuku, you could also consider investing in a cute, tiny vintage machine at Robot Robot on the 3rd floor. 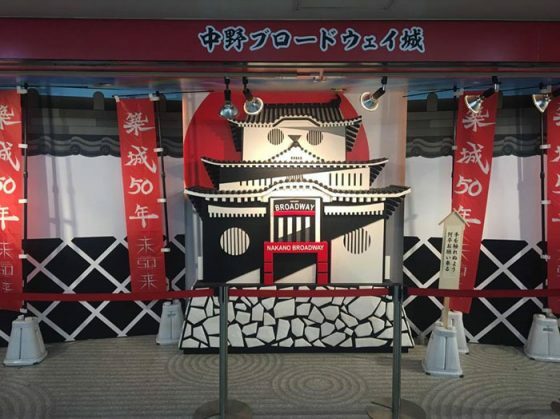 Although you probably won’t find Japan’s new darling Pepper here, most of the fictional robots from Japan and abroad can probably be found in this small shop. We can’t finish without mentioning Zingaro, which, if we want to go all cheesy, can be said to put the culture into the subculture that Nakano Broadway represents. 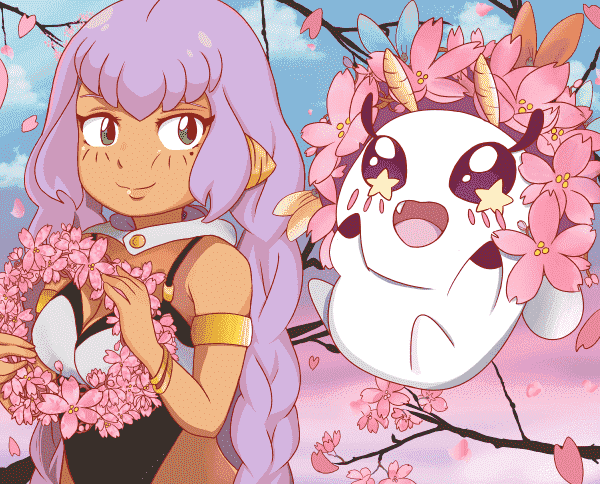 Owned by Murakami Takashi, an acclaimed Japanese artist whose instantly recognisable happy flowers (or artwork for Kanye West’s third album), Zingaro consists of no more than five galleries, where especially pixiv Zingaro is of special interest to the anime fan. The gallery regularly hosts manga and anime-related exhibitions, all free of charge. And should you be tired after a day’s worth of guilty pleasure shopping, or simply want a place to sit down and play with your miniature robots, Bar Zingaro is the place for that, with it’s delicate Scandinavian interior and flower paintings. If the noisy Akihabara just leaves you exhausted, fed up with that mass-produced crap that more than often is the case nowadays, you can turn back to JR Akihabara Station, take the Chuo line to Shinjuku, change for either the Sobu line or the Chuo line, and get off at Nakano, and you will have everything your nostalgic, a little bitter, but true otaku heart desires. Nakano Broadway is not the place to go if you’re looking for new stuff, but if you are, pretend to be, or want to become an enthusiast, you will want to be right here.